By the early nineteen seventies, the rock band or pop artist as a commodity that could be sold to millions of young people had reached a unique point in music history. Bands and artists were no longer signed to a record label solely for the purpose of making an instant profit via a hit song. Musicians were allowed to grow and develop their music, and it was understood that any one band may take two or three albums to make the payoff. Furthermore, not every band had to become an instant success to keep a record label interested. That one successful group could carry the cost of ten non-successful groups was the understanding. As such, there were many groups who were signed to a label, recorded an album or two, and then dissolved for various reasons. Sometimes the group found their new position as a recorded artist heaped greater responsibilities on them after years of being a relatively local touring group. Some members rejected their new burden while others wanted to move on. Then there were groups who were all ready to go out and promote their new product but found that the record label was not supporting them because someone else was making the charts. Some musicians continued in the music business, others went different ways. In the nineties, however, record collectors began discovering old albums of “unheard of” groups, and the search for the “lost classic” began. Where was that album that by all means should have been a hit? Old albums were reissued on vinyl and later on CD. In the last 10 to 15 years many of these albums have been reissued again, often with bonus tracks and CD booklets telling the story behind the band and album. Here are eight single-album bands of the seventies that I have added to my CD collection since last year. Vocalist Peter French is more known for his work with Atomic Rooster and Cactus but before all that there was Leaf Hound. Though the band name and album title sound drug-inspired, French insists that the names came from horror stories he was reading at the time. The band was evolved from a former incarnation called Black Cat Bones, which played mostly blues-based rock. With French on board, the band became a little heavier and fit in more closely with the likes of Led Zeppelin. After their album was recorded, the band went to Europe to tour and promote it, but when they returned to the U.K. they found the album had still not been released. 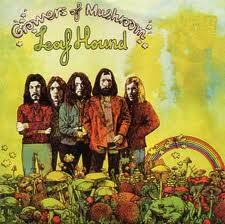 Disappointed, Leaf Hound split up and French joined Atomic Rooster. Only then was the album released, but with no band to take it on tour it quickly disappeared from public interest. Two decades later. It was voted the number one collector’s item in Q Magazine. French reformed the band with new members and released a new album in 2007 called “Unleased”. Vernon Pereira had been a regular figure in the Midlands rock scene since the mid-sixties and had even been in the Band of Joy with Robert Plant. 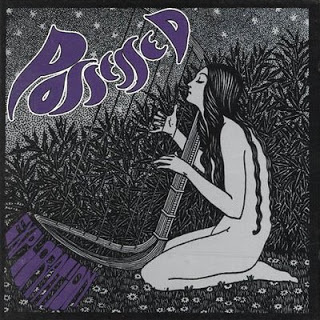 Other members of Possessed had also performed in bands with future big names, including one member taking over for Greg Lake in Shy and member Mick Reeves being in a band with Al Atkins who would soon after form the first incarnation of Judas Priest. Possessed took their name from a description of Pereira’s stage performance – it was said that he was possessed by the music. They recorded an album in 1971 and tried to find a label that would be interested. They had no luck but continued touring around in Britain. Then in 1976 tragedy struck when early one morning their van struck a stationary tanker, killing three of the members, including Pereira. Word was the Plant and John Bonham discussed re-forming the Band of Joy for a one-off charity and tribute concert to raise money for Pereira’s wife and children but Led Zeppelin’s commitments stood in the way of making it happen. Note that this band are in no way connected with the 80’s American thrash metal band of the same name. Dark were three young British lads accompanied by a fourth who went to a small studio one day to cut six tracks of the music they had been working on. Guitarist Steve Giles paid for the whole production and asked for blank album sleeves to which he glued on a photo he had taken and had had printed in his father’s photo studio. They printed 30 copies at first which were given or sold to friends and family. However, the response they received was very encouraging and so they printed 30 more copies to send to record labels. They never got the response for which they had hoped, but years later when someone was cleaning out the EMI office in London, Dark’s album was discovered. It is now hailed as a very important heavy fuzz guitar album and it fetched such a high price from collector’s that all but one band member sold his copy for a handsome sum. The album was reissued on vinyl and CD by Machu Picchu Records in Oregon in 2012. “Yes plays the hits of Black Sabbath” was how this band was once described. Indeed, the band had a close connection with Black Sabbath and Toni Iommi even became their manager, which sadly was the ultimate reason for their demise. At first there was much excitement about the band and they often toured and played with Sabbath and even Yes. But as Black Sabbath’s career took off so did their manager. 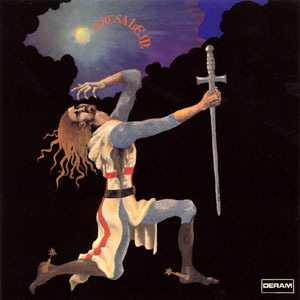 The band recorded an album and had commissioned an album cover by the legendary Roger Dean. But Iommi was overseas touring in the U.S. and there was no one to move the album through the hands of record company executives. Shortly after, the band split up. A couple of years later, Ozzy Osbourne was planning to go solo and start a band called Blizzard of Ozz. His new band was to be comprised of three of the Necromandus members. After a wild weekend of pranks and studio fun, Ozzy had a change of heart and chose to stay with Sabbath. “Orexis of Death” was finally released in 1999 and then again in 2005. 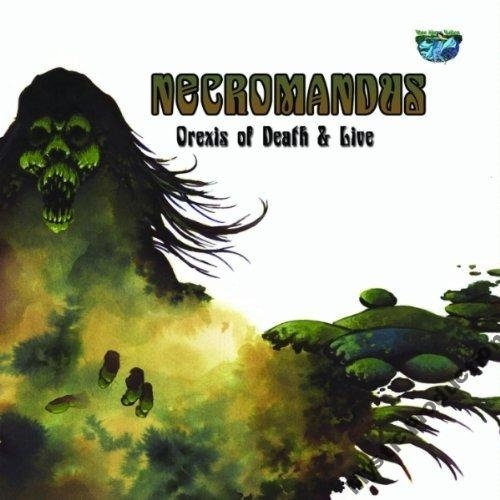 A live album was also released and a “Necrothology” which included additional tracks not available on the CD version of “Orexis…” or the live album. A recent reissue puts both the studio album minus two original tracks and the live album on one CD. Going by the outlandish name of BUM, this band converted from a blues act named Stevensons Blues Department to a guitar-oriented rock band with dark lyrics about black gods, rituals, and plagues. One member’s girlfriend’s father agreed to manage them if they would change their name to something more socially acceptable. 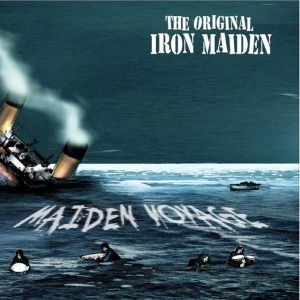 Someone picked the name Iron Maiden and it became their new moniker. Working primarily in the Essex area, the band attracted the attention of a label, recorded a single with a B-side and a bunch of demos, and then got dumped. The band lost steam and split up. Come the nineties and their original studio demos were finally put out on vinyl with their single. Then surprisingly, the original master tapes turned up and the original concept for the cover (drawn on a paper napkin) was made into a new cover for a CD released in 2012. Note that this band has nothing to do with the famous heavy metal band of the same name. When the electric blues was something new in Britain, three young dudes went to see John Mayall’s Blues Breakers and were so impressed that they knew they had to form a band, even though no one could play an instrument. Over the years they worked hard to learn how to play and write their own songs and eventually, after some personnel changes, they became Jerusalem. Deep Purple’s Ian Gillan took an interest in them and decided to produce their first album. However, after that the spirit in the band somehow changed and they soon split up afterwards. Too bad because it was a rather good debut. In the late sixties and early seventies, if you wanted to play music in Iceland you had to be a covers band. But three young musicians had the idea of composing and playing their own songs. They managed to stir up a small following in their native country and then went over to Copenhagen, Denmark where there was more music action. They recorded an album, got some favourable reviews, played their music, and decided it was time to go back home. Fast forward to the magical 90’s and their album gets discovered on a shelf, played, and becomes a “lost classic”. Bootlegs are made and finally a proper label releases the album in early 2014. 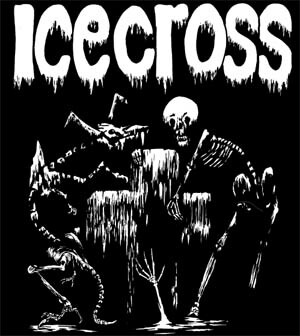 Icecross are now back together and have their own web site. For most Canadian bands, the sixties were a hard time to get recognized. While many obscure acts were at least getting singles out and cutting demos south of the boarder, in Canada few proper recordings got done. In Sussex, Ontario, a suburb of Toronto, a heavy psychedelic act, Bent Wind recorded and released an album – 500 copies pressed. No label showed any interest and the band mostly sold their albums at their shows and even threw them as Frisbees in the park, according to the Museum of Canadian Music. Twenty years or more later, one former member was running a pawn shop and had his album pinned to the wall when a collector friend of his spied it and told him Bent Wind’s album recently sold for a few hundred dollars. Well, Bent Wind got reformed and cut two more albums. 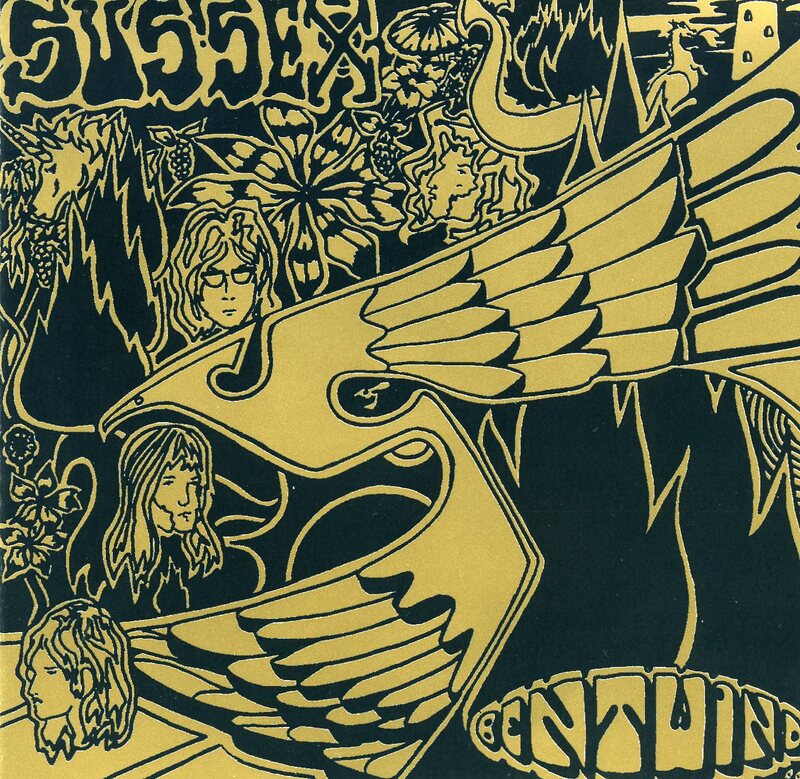 “Sussex” was recently re-released on CD with bonus tracks. Lists. They come in a variety of lengths: the top or best 3, 5, 7, 10, 12, 20, 25, 50, 99, 100, 101, 200, 500, 1000… I find a list of 100 is comfortable. There’ll be more than you know or can remember but it’s not unrealistic to visit, see, do, read, or buy everything on a list of 100. Twenty-five is certainly easier to handle though and you might even remember almost everything on a list of 25 after the first couple of look-overs. Lists can be very useful for introducing you to something you already know a little about, and a best of or top list may be a great way to begin exploring. I often refer to the Prog Archives Top 100 list to see how my progressive rock collection is coming along. It’s a good reference list. It occurred to me though that this list is not the definitive list and I went searching for other lists of prog’s top 100 albums to see what were the similarities and differences. The first list I found was comprised of mostly albums and artists I had never heard of before, which reminded me that when some people make a personal list it is partly to introduce their taste in music to others and partly to show off how much obscure music they have in their collections. Note that Aqualung and The Lamb Lies Down… actually received an average ranking of slightly lower than 25. Thus the first 15 albums listed above are the 15 that most frequently appeared near the top of the Top 100’s and Best 100’s. All other albums on those lists were not ranked high consistently enough to earn an average of 25 or above. Some albums like Anglagard’s Hybris or Harmonium’s Si on avait besion d’une cinquieme saison were included in the top 20 of three or four lists, but completely omitted from others. In the case of Aqualung, it was ranked number 2 on one list but 90 on another list (this figure was not added in the equation as the best five rankings were above 90). There were also several well-known albums like Rush’s A Farewell to Kings and Hemispheres or albums by Gentle Giant, Camel, Banco Del Mutuo Soccorso, and Premiata Forneria Marconi which appeared consistently on most lists but again, scoring lower than 25 most of the time. You will perhaps notice that all the albums listed above were recorded and released between 1969 and 1981. There are many great progressive rock albums that have been released in the last 20 years or so (Tool’s Lateralus, Dream Theater’s Images and Words, Opeth’s Still Life to name a few of the often cited ones) which were frequently found on top 100 lists but nearly always further down the ranks. So there you have it – the 15 most commonly included albums in the best 100 of prog. And here are the seven lists I consulted.